JP v. School Board of Hanover County VA is a case about autism, ABA therapy, and reimbursement for a private special education program. J.P. v. Hanover is also a case that demonstrates why schools should use objective tests to measure a child's progress (or regression), discrete trial data, and why schools must provide children with the services in their IEPs. In his decision, Judge Payne describes weight due to the State hearing officer's decision and why testimony by the school witnesses was impeached. The decision includes charts of J.P.'s progress and regression on objective standardized educational tests. Note: The Order and Decision is 88 pages in pdf and a very large file (1.5 mb). Please do not try to open this document online. Instead, download the file to your hard drive, then open it. JP's parents were concerned that he was not making progress. They asked the school to conduct the Assessment of Basic Language and Learning Skills (ABLLS), a comprehensive test that assesses a child's pre-academic and social developmental strengths and weaknesses. Progress Log - "Not Empirical, Standardized, Comparable, Test-Based Evidence"
In JP v. Hanover School Board, the Judge used JP's test scores to determine if he was making progress or regressing. Baseline testing and findings in subsequent administrations of tests were key evidence that the public school program was not appropriate, and that the private program was appropriate. In the decision, the Court compared the child's subtest scores on repeated administrations of the Peabody Picture Vocabulary Test, (PPVT) Oral and Written Language Scale, (OWLS) Preschool Language Scale (PLS-4), Visual Motor Integration test (VMI) and Woodcock Johnson (WJ-III). At the end of the decision are three appendices. Appendix A are benchmark grades from the IEP and Mrs. P's assessment. Appendix B is a table of Speech and Language Testing with standard scores and age equivalent scores. Appendix C is a table of JP's scores on Woodcock Johnson (WJ-III) subtests, and changes in the subtest scores over time. 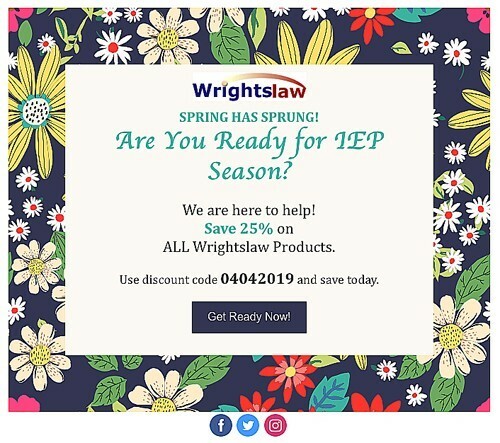 Note: If you have attended a Wrightslaw special education law and advocacy training program, you know it is essential to use the bell curve, standard scores and percentile ranks to chart educational progress. During the program, you learned how to put test data into a table and convert the data in the table into an impressive bar graph. You learned that progress / regression graphs are excellent visual aids that can be used as evidence that a child is making progress or regressing in a special ed program. The Judge described testimony by one speech therapist that placement in an ABA school "would deprive JP of social interaction with typical students, which is important and necessary for speech development ... [this] testimony was negated by other evidence." Testimony by School Witness Impeached: "Language Necessary Prerequisite to Social Interaction"
Judge Cites "Low Expectations" and "Failure to Use Research Based Methods of Teaching and Learning"
"The legislative history of the EAHCA and the IDEA show quite clearly that Congress did not enact the statutes for the purpose of meeting the minimal level of service urged by HCPS." 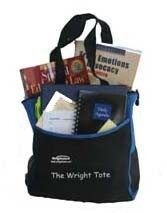 The decision has dozens of excellent quotes that attorneys can use in briefs. It is refreshing when a Judge goes to such lengths and reads the transcript, takes new evidence, studies the exhibits, reads cases (and cites footnotes from cases), and uses objective test data in his decision. Congratulations to Virginia attorney Philip Carter Strother on his success. Thanks to JP's parents who persevered, despite ongoing opposition from Hanover County Public Schools and the adverse decision from the Hearing Officer. Autistic Child's Parents Prevail in Virginia - Judge Rules against Hanover, Orders School System to Pay Student's Private Tuition by Bill McElway of the Richmond Times Dispatch describes the judge's decision, resistance from the school system, (including a threat to file trespassing charges against the parents), and other noteworthy decisions by Judge Payne in RT v. School Board of Henrico County-I and RT v. School Board of Henrico County-II earlier this summer. Note: To read Autistic Child's Parents Prevail in Virginia by Bill McKelway of the Richmond Times Dispatch, please copy and paste the complete URL into your browser window. The link to the newspaper article ends with 602 - we don't know how long it will be available online.